It has been said that today’s luxuries are tomorrow’s necessities. Do you remember how you felt about the VCR, the microwave or more modern technologies such as cell phones and personal computers? Most people are slow to accept new technologies. At first you probably thought that these products were fads that would only be used by the very wealthy. Today they are a necessity of our everyday lives. Like these products, Home Automation will not only make your life much easier, but it is latest in modern technology that will soon be found in most households in America.Home Automation refers to anything that will allow you to control things around your home automatically or from a remote location via telephone or personal computer. It can be something as simple as remote or automatic control of a few lights, or as advanced as the use of voice recognition to activate your heating and cooling system from your bedroom. You can also operate appliances, security systems, home theatres and entertainment systems. Forget to activate the alarm system before leaving your vacation home? With Smart Home Automation you can monitor and control your system from a telephone or computer. You can even set the system to notify you of emergencies, such as flooding caused by freezing pipes, while you’’re away. 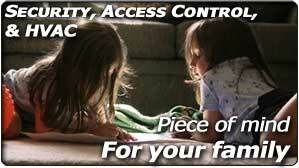 Devices are also available that will allow you to unlock the door from your PC for visiting friends and family. With Smart Home Automation you can also combine the control of several systems.For example, the closing of a garage door can be used as a signal to automatically turn on specific lights and to turn off certain appliances and adjust the thermostat. You can also access your thermostat from your cell phone or PC. Imagine walking into a perfectly cooled house after a long drive to the Outer Banks. The ability to control lighting is currently the most popular use of Automated Home Systems and it’s a great way to get started. You can dim dining room lights for entertaining, or bathroom lights for easy and safe movement around the house at night. Outside lighting can be controlled for security and for safety. You can also have fun with your Automated Home System. Imagine arriving to your vacation home after a long trip to find that your favorite movie or CD is already playing. Simply click a specific icon on your Smart Home device and it’s done. This system will allow you to do this with one simple step, without the use of multiple remotes. Smart Home Automation can be anything you want it to be. As long as you plan ahead during the structured wiring phase of your building project, you can add different elements to your smart home over time.